Titanium band ring with a textured triangular top. The ring has a court profile (rounded inside) for added comfort. The width of this ring is 7mm and is available in finger sizes P to Z. 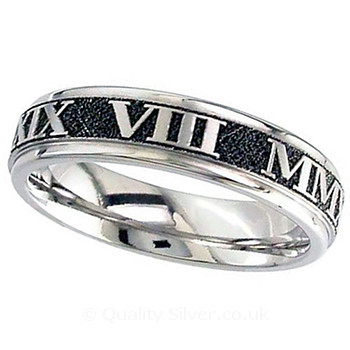 This item will carry a recognised marking inside the ring stating the materials used in manufacture, in this case Titanium.